Please use our search to find the vehicle you are looking for. To view our full showroom click here. A Family owned business based in Middleton-in-Teesdale, established 1933, a Ford dealer since 1963. We are close to Barnard Castle and within easy reach of Bishop Auckland and Darlington in County Durham, 13 miles from the A66 and 30 miles from the A1 and M6. 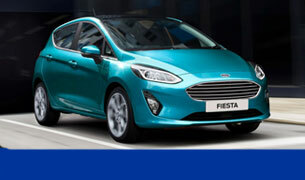 New and Used Ford Vehicle sales, amongst other used cars. Fuel - Petrol, Diesel and Agricultural Diesel fuels, with free forecourt air. We are a friendly dealership and if you have any queries just give us a call.